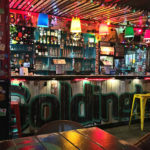 One of my must do’s every time I visit Wellington, is to stop by Goldings for a few cleansing ales, and sit back and wonder at the “shambolic” mix of star wars meets ski-shack, mashed up into an eclectic, multicolour lit, dive bar. Named after its owner, Sean Golding, who had previously worked behind the bar at Hashigo Zake. Sean went looking for a site to open a craft beer bar in early 2012, and happened across the venue tucked away in the heart of the Hannah’s Laneway precinct. After raising the capital, by finding partners, and working as a set painter in the film industry, Sean opened the doors in April 2013. 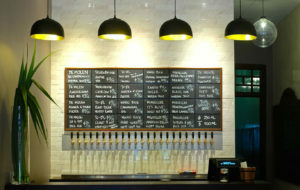 Tap-wise at Goldings, you’re regularly spoilt for choice, as the iconic craft beer menu board will attest. Built in Golding’s basement workshop, the magnetic letters come from a $2 Shop which the staff occasionally need to restock – especially when the ‘a’s run out during Tuatara tap takeovers. I often pondered where the “free” in their name came from. Then it then occurred to me that the term “free-house” is fairly common Kiwi craft beer vernacular. Typically referring to a venue that owns their own taps, and are not contracted to any one brewery. As such, they’re “free” to serve what ever they damn like! Which is exactly what Goldings do – and do very well, with 8 x regularly rotating taps, and 2 x handpumps. For those in the know, on the rare occasion, when the Beervana moon is full, and the stars align, the legend of the Blue Collar Falcon society rises its plumed head. This super secret, and exclusive venue is only accessible to a very limited few in the know. However once inside, you’ll be greeted and served by your own private Cicerone, and a bottle list to die for. 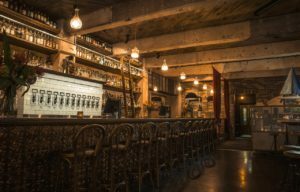 To find out more about this super secret bar, subtly sidle up to bar staff, and enquire in a hushed tone. Whilst Goldings don’t have a kitchen, they have some very tasty, good friends located just on the other side of the courtyard. Pizza Pomodoro has been serving up delicious, traditional Neapolitan wood-fired pizza for over 18 years. Simply order at the bar, and the Pomodoro crew pop across with your order when its ready. With such tasty treats as the Inferno (sausage, olives, anchovies, oregano & chilli), Capricciosa (olives, ham, mushrooms and oregano), Cinque Formaggi (four cheese), Funghi Bianca, Margarita, Siciliana, and the Ortolana (zucchini, capsicum and eggplant). If you were in any doubt about the pedigree of Pizza Pomodoro. They’re internationally certified by the True Neapolitan Pizza Association — which means, the Italian ancestry of pizza approves of this place. 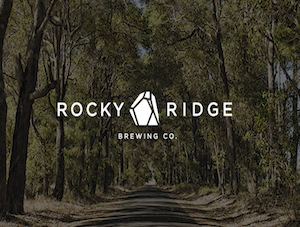 Matt Voerman is the Sydney-based, primary, protagonist at Crafty Taps.